The MTA saw a 3.6 percent ridership increase in 2013, but funding for the system is being pilfered in the state budget, and many people don't even realize it. In 2002, $2.4 billion in MTA state service contract bonds were taken out to repair subway and rail tracks, buy trains and buses, and ensure that the region's transit system, including the Long Island Rail Road, was in a state of good repair. When these bonds were issued for the MTA, the state committed to paying the interest out of its general fund. Over the past decade, the state maintained that commitment, paying the debt and interest on the bonds. That's when Gov. Andrew M. Cuomo first diverted $20 million in MTA dedicated taxes and fees to pay off those 2002 bonds. As New York State was weathering the worst recession in 70 years, these taxes and fees took a beating. The lack of revenue led to service cuts and fare hikes throughout the MTA system, also impacting Long Island. 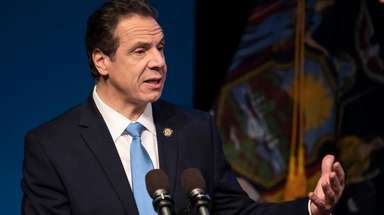 Now, when times are good, and funding from these fees and taxes is bouncing back, Cuomo has decided to use the MTA like an ATM to prop up the state's general fund. In doing so, he is reneging on the state's commitment to help ensure dedicated MTA funds are directed toward their intended purpose: maintaining the transit system and service. In his proposed budget this year, due April 1, Cuomo's withdrawal is $40 million, double last year's diversion. But in addition, $20 million is proposed to be diverted every year beginning in 2016. The MTA could lose a cumulative $350 million in dedicated transit funding over the next 17 years. To put this $350 million in context, when the worst service cuts in a generation were enacted in 2010, cuts which included the end of West Hempstead weekend service and canceled trains on the Ronkonkoma and Port Washington branches among others, the cuts saved the MTA only $93 million a year. Long Island's Senate and Assembly members understand the importance of this transit funding. Thanks to the efforts of State Senate co-leader Dean Skelos (R-Rockville Centre) and senior Assembly members like Charles Lavine (D-Glen Cove), the proposed budgets of both the Senate and the Assembly withdrew the governor's $40 million diversion. While funding for MTA service has increased in recent years, the diversion of dedicated transit funds erodes the fiscal stability dedicated funding streams were designed to create while setting poor fiscal precedent. This $40 million could help the precarious funding outlook of the MTA, whose budget is only balanced with tenuous assumptions. These funds also could be used to restore previously cut service, add new service or even reduce next year's proposed fare increase. As state budget negotiations enter the final stretch, Long Island's Senate and Assembly members must hold firm in their opposition to Cuomo's proposed $40 million transit diversion. They understand that when taxes and fees are enacted for a specific purpose, their constituents expect those funds to be protected. In this case, they understand that dedicated transit taxes and fees should be used for their intended purpose: transit. As the days dwindle until the final budget is due, the legislature must make certain that the governor understands this as well. Gene Russianoff is staff attorney for NYPIRG Straphangers Campaign and Veronica Vanterpool is executive director of the Tri-State Transportation Campaign.